When you Sponsor a Loon, you help support the Adirondack Center for Loon Conservation’s efforts to rescue, rehabilitate, band and monitor these magnificent birds. Much can be gained by tracking banded individual loons. Field observations on unmarked populations have provided general knowledge. However, to more fully understand the ecology of this species, marked individuals must be followed over time. 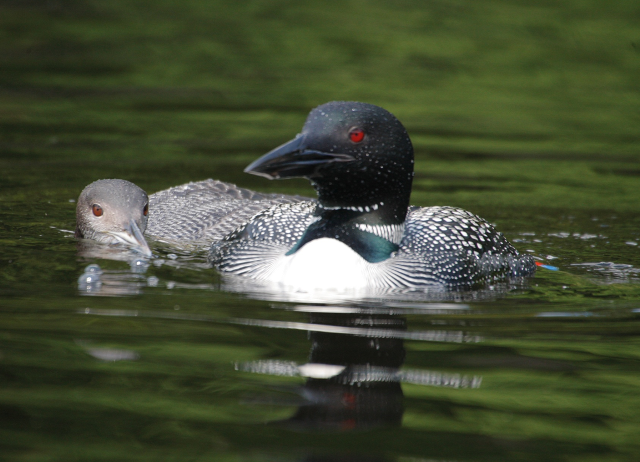 The ACLC has captured and color-banded more than 350 loons in New York’s Adirondack Park. Through this effort, loons have now become the foremost species studied to determine the exposure and effects of mercury across North America. Give your friends and family a unique present with a loon sponsorship from New York State’s Adirondack Park!